Uncle Tom's Cabin by Harriet Beecher Stowe depicts the ways that God reveals Himself when evil seems triumphant and God appears to be silent. George MacDonald and Shusaku Endo apparently read this novel and deeply sympathized with its theology -- and subsequently developed its ideas and episodes in their own writings. In their views, nothing can come between God and each person; therefore, even apparent enemies can never victimize anyone -- they can only help us ultimately to be more closely united with God. They also illuminate that God never deserts people who feel weakest in faith. The term "leadership" usually evokes images of great warriors, politicians, or social figures that saturate the pages of a history textbook. However, these are pre-conceived notions of the term. Leaders are those who exercise influence, be they soldiers, politicians, or even artists such as writers and musicians. One such leader is author and apologist C.S. Lewis. Lewis spoke to his generation (and many subsequent ones) in his texts. 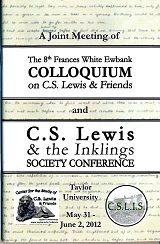 Through Lewis, many have achieved a greater understanding of literature, spirituality, and human nature. His words have, in essence, transformed the minds of readers. Transformational leadership is desired because it performs what is implied in its title: it transforms others. Transformational leaders increase both motivation and morality in their followers. They lead with conviction, ultimately empowering followers to become leaders. Bass (1985) posits that transformational leaders exhibit four qualities: idealized influence, inspirational motivation, intellectual stimulation, and individualized consideration. Upon exploring transformational leadership theory, it is evident that C.S. Lewis exhibits all four qualities of a transformational leader. Lewis has led many from the desert of spiritual ambiguity into a better understanding of God and of ourselves. His words still resonate in culture and demonstrate the lasting influence of his legacy. The first full-length (and authorized) biography of Lewis was published in 1974. One of its authors was Roger Lancelyn Green. Few are aware of (or have even seen) a monograph he wrote before Lewis's death about Jack's life and writings. While Jack saw and approved of the manuscript in 1960 it wasn't released until the same year he died. The purpose of this talk is to reveal what information and insights this trusted friend presented in this rare monograph about Jack at the end of his career.